Mai, still in Nodoka's body, really wanted to slap her little sister, but she opted for the much better choice in slapping Sakuta instead. 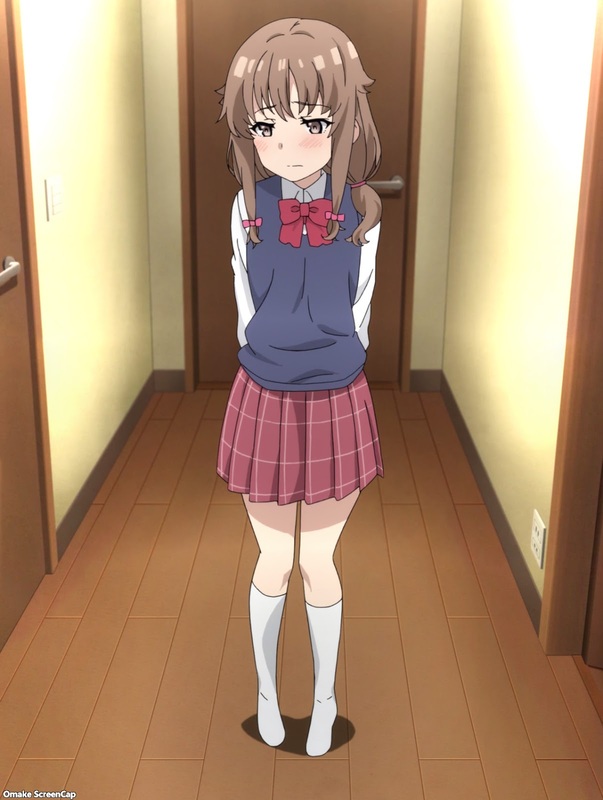 Kaede appears to be making some progress toward rejoining society, as shown by trying on her school uniform again. She says she needs to up her game after seeing the parade of girls taking up her big brother's attention. Mai only had a month to perform like Nodoka in her idol group Sweet Bullet's next performance. She more than nailed it. She outperformed Nodoka and that mic catch showed her extreme professionalism. Mai and Nodoka reconnected their sisterly bond and that solved the body swapping problem. I'm as amazed as Sakuta in actually seeing the switch back instead of the cop-out of waiting until people fell asleep or weren't looking. 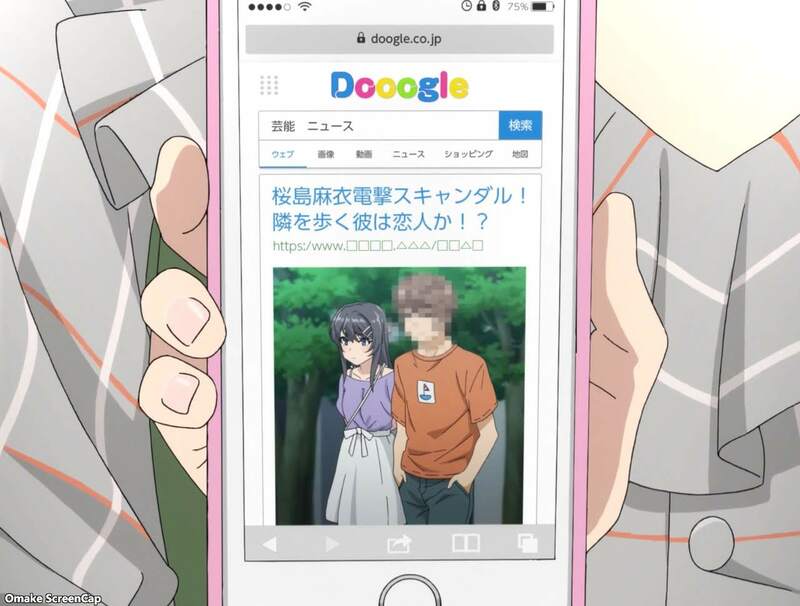 Mai and Sakuta got more dating problems when someone snapped a picture of Sakuta walking with Nodoka-Mai during the body swapped month. A quick "dooogle" search pulled up the gossip item very quickly.